We’re extra proud of our latest B-Boy Show from Thailand! Catch up on the chatter at cupofjim.com. Banana pancake, Thai style. Catch up on the chatter at cupofjim.com. 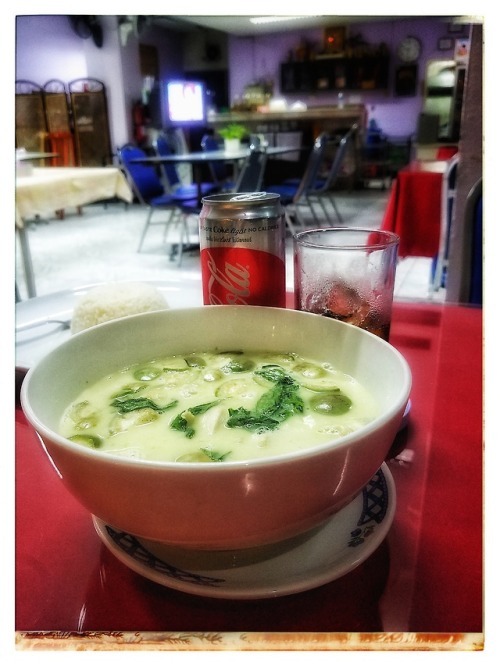 Creamy sweet spicy exotic Thai green curry coconut chicken…. Creamy sweet spicy exotic Thai green curry coconut chicken. Those green golf balls are actually Thai eggplant. Basil, galangal, keffir lime leaves, Thai basil, chillies, green curry paste, palm sugar, fish sauce. Mouthfeel heaven from here to the afterlife. People line up when they see him coming. He’s the guy that plays and sings for you while he cooks up your order of friend grasshoppers, scorpions, crickets, and frogs.